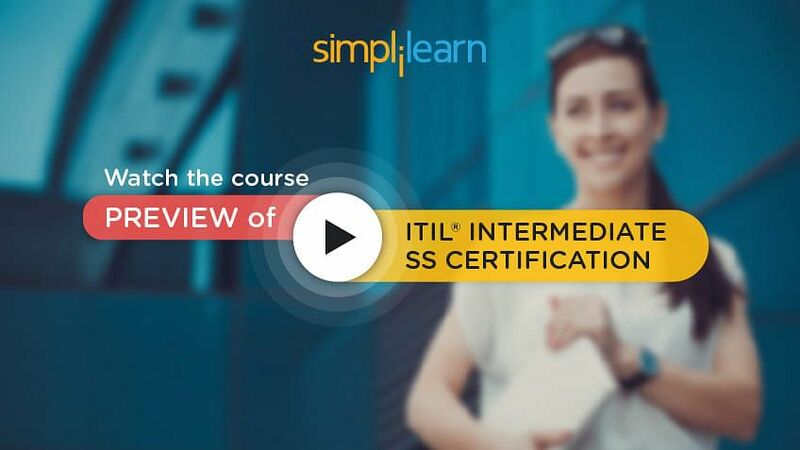 Welcome to the second chapter of the ITIL® Intermediate SS tutorial (part of the ITIL® Intermediate SS Certification Training). This chapter deals with the details and basics of the Service Management as a Practice. First, we will look at the objectives. Key concepts such as Services, Value Creation, and Assets, etc. The Importance of Specialization and Coordination across the Lifecycle. Next, let us learn about what a service is. Service facilitates outcomes by enhancing the performance of associated tasks and reducing the effect of constraints, these constraints may include regulation, lack of funding or capacity, or technology limitations. The end result is an increase in the probability of desired outcomes. While some services enhance the performance of tasks, others have a more direct impact - they perform the tasks itself. Services can be classified as Core Services, Enabling Services, and Enhancing Services. Core services deliver the basic outcomes desired by one or more customers. They represent the value that the customer wants and for which they are willing to pay. Core services anchor the value proposition for the customer and provide the basis for their continued utilization and satisfaction. Enabling services are services that are needed for a core service to be delivered. Enabling services may or may not be visible to the customer, but the customer does not perceive them as services in their own right. They are ‘basic factors’ which enable the customer to receive the ‘real’ (core) service. Enhancing services are services that are added to a core service to make it more exciting or enticing to the customer. Enhancing services are not essential to the delivery of a core service, and are added to a core service as ‘excitement’ factors, which will encourage customers to use the core service more (or to choose the core service provided by one company over those of its competitors). Let us move on to the next section to understand the key terms used in Service. This section explains the concept of Service Management, IT Service Management (ITSM) and Service Providers. Service Management is a set of specialized organizational capabilities for providing value to customers in the form of the Services. Information technology (IT) is a commonly used term that changes meaning depending on the different perspectives that a business organization or people may have of it. 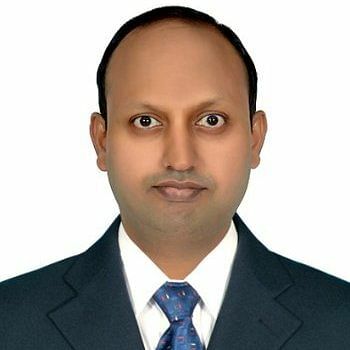 A key challenge is to recognize and balance these perspectives when communicating the value of IT service management (ITSM) and understanding the context of how the business sees the IT organization. IT Service Management (ITSM) is the Implementation and Management of Quality IT Services that meet the needs of the business. ITSM is performed by IT Service Providers through an appropriate mix of people, process and information technology. A service provider is an organization supplying services to one or more internal or external customer. Let’s proceed to the next section to learn about the service provider types. In our last section, we discussed Service Management, IT Service Management (ITSM) and Service Providers. This section explains the concept of Service Providers Types and Stakeholder in Service Management. Distinguishing between different types of service providers is necessary. While most aspects of service management apply equally to all types of service providers, others such as customers, contracts, competition, market spaces, revenue, and strategy take on different meanings depending on the type. Type I providers are typically business functions embedded within the business units they serve. The business units themselves may be part of a larger enterprise or parent organization. Business functions such as finance, administration, logistics, human resources, and IT provide services required by various parts of the business. They are funded by overheads and are required to operate strictly within the mandates of the business. Type I providers have the benefit of tight coupling with their owner-customers, avoiding certain costs and risks associated with conducting business with external parties. Customers of Type II are business units under a corporate parent, common stakeholders, and an enterprise-level strategy. What may be suboptimal for a particular business unit may be justified by advantages reaped at the corporate level for which the business unit may be compensated. Type II can offer lower prices compared to external service providers by leveraging corporate advantage, internal agreements, and accounting policies. With the autonomy to function as a business unit, Type II providers can make decisions outside the constraints of business unit level policies. They can standardize their service offerings across business units and use market-based pricing to influence demand patterns. The business strategies of customers sometimes require capabilities readily available from a Type III provider. The additional risks that Type III providers assume over Type I and Type II are justified by the increased flexibility and freedom to pursue opportunities. Type III providers can offer competitive prices and drive down unit costs by consolidating demand. Certain business strategies are not adequately served by internal service providers such as Type I and Type II. Customers may pursue sourcing strategies requiring services from external providers. The motivation may be access to knowledge, experience, scale, scope, capabilities, and resources that are either beyond the reach of the organization or outside the scope of a carefully considered investment portfolio. Business strategies often require reductions in the asset base, fixed costs, operational risks, or the redeployment of financial assets. Competitive business environments often require customers to have flexible and lean structures. In such cases, it is better to buy services rather than own and operate the assets necessary to execute certain business functions and processes. For such customers, Type III is the best choice for a given set of services. Let us understand the stakeholders. Within a service provider organization, there are many different stakeholders including the functions, groups, and teams that deliver the services. There are also many stakeholders external to the service provider organization, for example, Customers who buy goods or services. The customer of an IT service provider is the person or group who defines and agrees on the service level targets. This term is also sometimes used informally to mean user. Users are those who use the service on a day-to-day basis. Users are distinct from customers, as some customers do not use the IT service directly. Suppliers are the third parties responsible for supplying goods or services that are required to deliver IT services. Examples of suppliers include commodity hardware and software vendors, network, and telecom providers, and outsourcing organizations. In the next section let us understand the concept of utility and warranty. Now when we say service is the means of delivering value to the customers then how do we deliver value? What does value contain? Can we quantify the value? To answer these questions, let us understand this concept with the utility and warranty model. The utility is perceived by the customer from the attributes of the service that has a positive effect on the performance of tasks associated with desired outcomes. Removal or relaxation of constraints on performance is also perceived as a positive effect. Warranty is derived from the positive effect being available when needed, insufficient capacity or magnitude, and dependable regarding Continuity and security. The utility is what the Customer gets, and warranty is how it is delivered. Customers cannot benefit from anything that is fit for purpose but not fit for use, and vice versa. It is useful to separate the logic of utility from the logic of warranty for the purpose of Design, development, and improvement considering all the separate controllable inputs allows for a wider range of solutions to the problem of creating, maintaining and increasing value. Remember absolute quantification of value is not possible. The image below illustrates value creation using utility and warranty. Moving on, in the next few sections, we will discuss the key concepts. What does the IT Service do? They enhance the performance of those Customer Assets to deliver better, or increased business outcomes (and hence delivers business value). How does the IT service provider deliver these Services? It is through effective use of Service assets (Their resources and capabilities). Here it is important that the Service Provider has to define a Service always in connection with the specific Customer Assets to which the Utility of the service is delivered to. The service provider has to execute certain activities to deliver the value to customers in the form of service. This starts with understanding what the Customer wants or say understand Customer expectations. Customer expectations lead to define a specific set of activities which are to be executed by the people to deliver Value. These specialized sets of activities are termed as a process. A process is defined as a set of activities designed to accomplish a specific objective. A process takes defined inputs and turns them into defined outputs. A process may include roles, responsibilities, tools and management controls required to deliver the outputs. We also need to learn the basic characteristics of any process. It delivers specific results as expected by customers. The primary result as agreed with the customer is delivered to customers or stakeholders. It responds to specific events or triggers. In addition to Assets and Processes. Let us look at other key concepts in the next two sections. This section explains the Key Concepts -2. 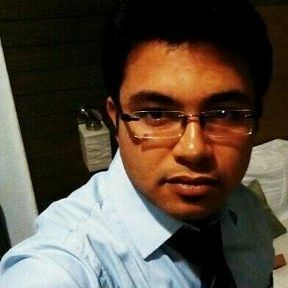 Functions are the entities which execute these processes. Now, coming to Functions within Service Operations, Processes alone will not result in effective Service Operation. A stable infrastructure and appropriately skilled people are needed as well. To achieve this, Service Operation relies on several groups of skilled people who execute processes to match the capability of the infrastructure to the needs of the business. Following are a few characteristics of functions. Functions are units of organizations specialized to perform certain types of work and be responsible for specific outcomes. Functions are self-contained with capabilities and resources necessary for their performance and outcomes. Capabilities include work methods internal to the functions. Functions have their own body of knowledge, which accumulates from experience. Functions provide structure and stability to organizations. Functions are a way of structuring organizations to implement the specialization principle. Functions tend to optimize their work methods locally to focus on assigned outcomes. Let us understand other concepts. A group is some people who are similar in some way. In ITIL, groups refer to people who perform similar activities even though they may work on different technologies or report into different organizational structures or even different companies groups. A team is a more formal type of group. These are people who work together to achieve a common objective, but not necessarily in the same organizational structure. Examples of teams include Project Teams, Application Development teams, etc. Let’s continue to discuss the concepts in the next section. This section further explains functions. Departments are formal organizational structures which exist to perform a specific set of defined activities on an ongoing basis. Departments have a hierarchical reporting structure with managers who are usually responsible for the execution of the activities and also for day-to-day management of the staff in the department. A division refers to some departments that have been grouped together, often by geography or product line. A division is normally self-contained. A role is a set of responsibilities, activities, and authorities and authorities granted to a person or a team. A role is defined in a process or a function. One person or Team may have multiple roles – for example, a role of a Configuration Manager and a Change Manager is performed by a single person. Some roles need to be performed during the service Lifecycle. The core ITIL publications provide guidelines and examples of role descriptions. These are not exhaustive or prescriptive, and in many cases, roles will need to be combined or separated. Organizations should take care to apply this guidance in a way that suits their own structure and objectives. Organizational culture is the set of shared values and norms that control the service provider’s interactions with all stakeholders, including customers, users, suppliers, internal staff, etc. An organization’s values are desired modes of behavior that affect its culture. Examples of organizational values include high standards, customer care, respecting tradition and authority. Let us study the characteristics of the process in Service management. Governance is the single overarching area that ties IT and the business together, and services are one way of ensuring that the organization is able to execute that governance. Governance is what defines the common directions, policies, and rules that both the business and IT use to conduct business. Many ITSM strategies fail because they try to build a structure or processes according to how they would like the organization to work instead of working within the existing governance structures. Management System is the framework of policy, processes, functions, standards, guidelines, and a tool that ensures an organization or part of an organization achieve its objectives. ISO Management systems standards use the Plan – Do – Check –Act. The ITIL Service Lifecycle approach embraces and enhances the interpretation of the PDCA cycle. Let’s discuss the PDCA cycle in detail in the next section. PDCA is generally referred to as Deming cycle. ISO management system standards use the Plan-Do-Check-Act (PDCA) cycle shown in Figure. The ITIL Service Lifecycle approach embraces and enhances the interpretation of the PDCA cycle. You will see the PDCA cycle used in the structure of the guidance provided in each of the core ITIL publications. This guidance recognizes the need to drive governance, organizational design and management systems from the business strategy, service strategy and service requirements. Let us understand how the 7-step improvement process maps in PDCA or DEMING’S cycle. The Plan stage relates to the planning of activities. The Do activity refers to the design and implements phase. The Check activity refers to compare the actual versus the predicted performance. The Act activity is to take action on corrective actions. As we are clear on the PDCA cycle, let us now move to the next section on Specialization and coordination across the lifecycle. Organizations need a collaborative approach to the management of assets which are used to deliver and support services for their customers. Organizations should function in the same manner as a high-performing sports team. Each player in a team and each member of the team’s organization who is not players position themselves to support the goal of the team. Each player and team member has a different specialization that contributes to the whole. The team matures over time taking into account feedback from experience, best practice, current process and procedures to become an agile high-performing team. Specialization and coordination are necessary for the Lifecycle approach. Specialization allows for expert focus on components of the service, but components of the service also need to work together for value. Specialization combined with coordination helps to manage expertise, improve focus and reduce overlaps and gaps in processes. Specialization and coordination together help to create a collaborative and agile organizational architecture that maximizes utilization of assets. Coordination across the Lifecycle creates an environment focused on business and customer outcomes instead of just IT objectives and projects. Coordination is also essential between functional groups, across the value network, and between processes and technology. In the next section let us understand the integration across service lifecycle. This is a pictorial representation of how Lifecycle stages are integrated with other phases. Integrating service management processes depends on the flow of information across process and organizational boundaries. This, in turn, depends on implementing supporting technology and management information systems across organizational boundaries, rather than in silos. If service management processes are implemented, followed or changed in isolation, they can become a bureaucratic overhead that does not deliver value for money. They could also damage or negate the operation or value of other processes and services. As discussed earlier each process has a clear scope with a structured set of activities that transform inputs to deliver the outputs reliably. A process interface is the boundary of the process. Process integration is the linking of processes by ensuring that information flows from one process to another effectively and efficiently. If there is management commitment to process integration, processes are generally easier to implement, and there will be fewer conflicts between processes. Stages of the Lifecycle work together as an integrated system to support the ultimate objective of service management for business value realization. Every stage is interdependent as shown in the figure. Let us see how these life cycles work together. In the next section, we will discuss some of the service integration FAQs. It is also important to understand how the Lifecycle stages work together. Continual service improvement acts in tandem with all the other Lifecycle stages. All processes, activities, roles, services, and technology should be measured and subjected to continual improvement. Most ITIL processes and functions have activities that take place across multiple stages of the Service Lifecycle. For example, The service validation and testing process may design tests during the service design stage and perform these tests during service transition. The technical management function may provide input to strategic decisions about technology, as well as assisting in the design and transition of infrastructure components. Business relationship managers may assist in gathering detailed requirements during the service design stage of the Lifecycle, or take part in the management of major incidents during the service operation stage. All service Lifecycle stages contribute to the seven-step improvement process. Next, let us understand the process integration characteristics. The information provided by each process that flows from one process to another; who produces it; and how it is used by integrated processes. Integrating service management processes depends on the flow of information across process and organizational boundaries. This, in turn, depends on implementing supporting technology and management information systems across organizational boundaries, rather than in silos. If service management processes are implemented, followed or changed in isolation, they can become a bureaucratic overhead that does not deliver value for money. They could also damage or negate the operation or value of other processes and services. An important point to note here is that the Stages of Service Lifecycle work together as an integrated system to support the ultimate objective of Service Management for Business Realization. With this we have come to the end of lesson 2, let’s quickly summarize on this in the next section. Let us now proceed to chapter 3 on Service Strategy principles.